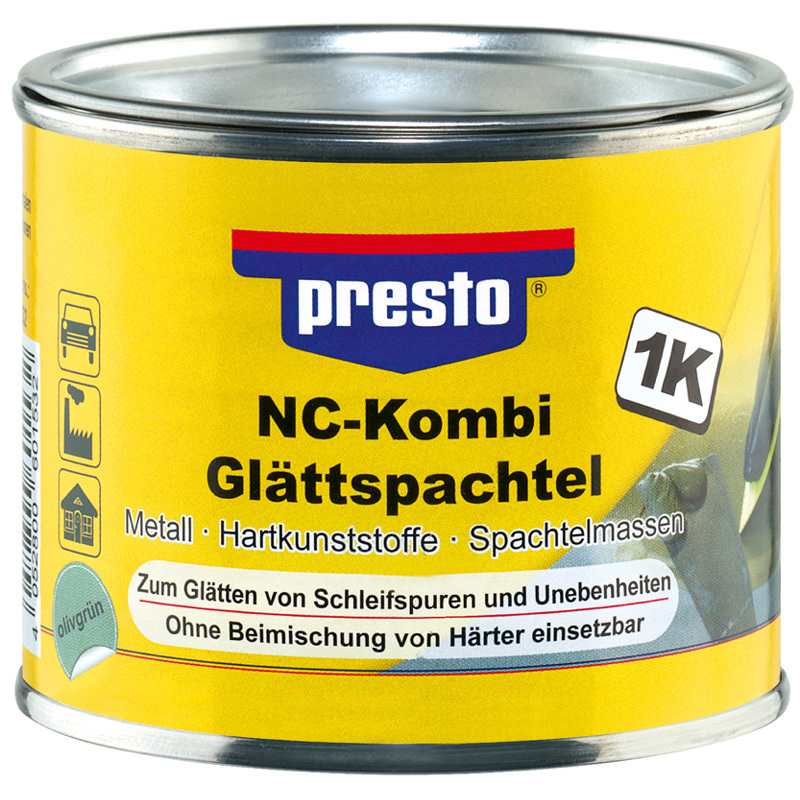 presto NC Fine Filler is a 1-component, air-drying nitro combi filler for smoothing and egalizing marks from sanding on filled and sanded surfaces. The pore-free, smooth surface forms after very fine wet sanding the ideal condition for the subsequent primer and topcoat. 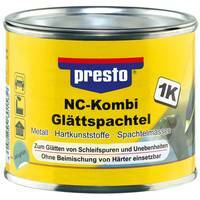 For use on many surfaces, e.g. metals, hard plastics and all putties. The coat thickness is decisive for drying time till you can sand the filled object. 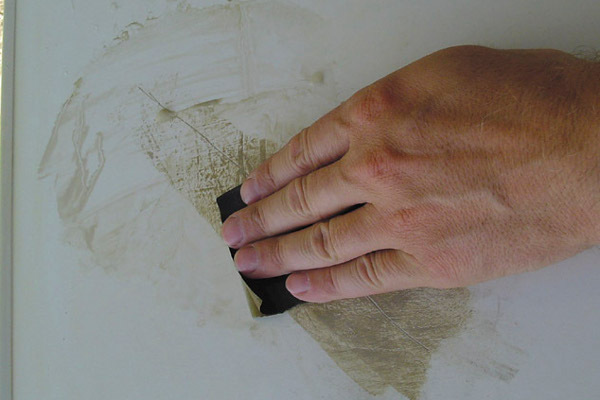 Thin layers can be sanded already after 1 hour drying at 20°C (use sandpaper grain 600 or 800).